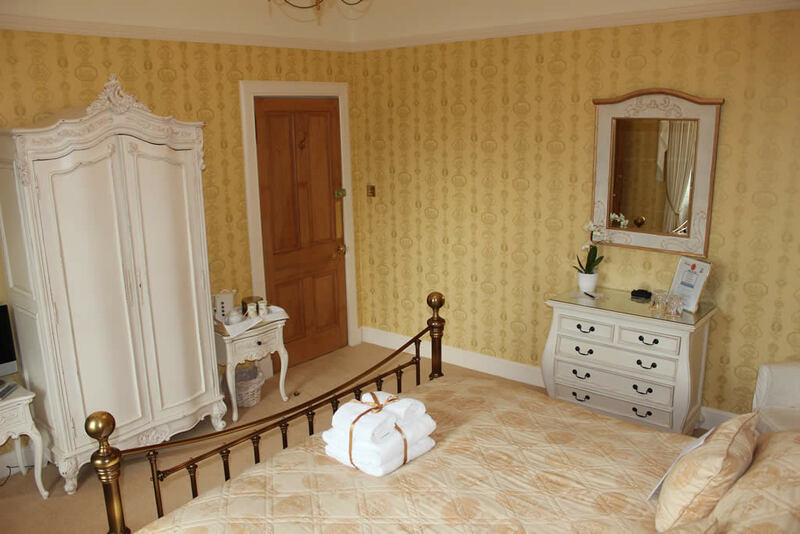 A charming south facing guest bedroom decorated in sunny shades of yellow toile and neutral cream. 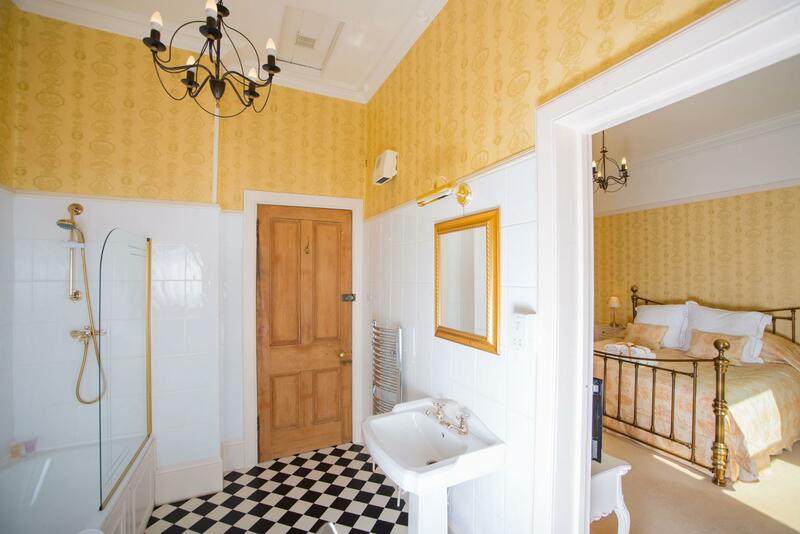 With a super-king size brass bed and a lovely ensuite bathroom (with a shower over the bath), the bedroom and bathroom both have a view over the garden and the countryside beyond. Remember the best available rate at the time of booking is always offered on our own website. © Westerton B&B 2019. All rights reserved. 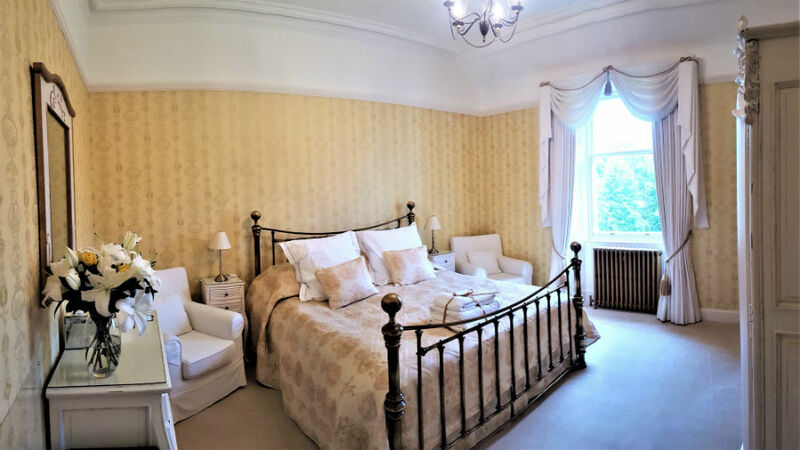 Book your accommodation DIRECT ONLINE with Westerton Bed and Breakfast, Callander. Alternatively, call us direct on 01877 330147. Please note - Westerton is exclusively for adults and we do not accommodate children under the age of 18 years.